Anyone who knows Yorkshire knows it’s at its best when it’s putting on a show. From arts and theatre to sports, the last few years have really seen the region come into its own and become a hugely popular destination. The coming year is shaping up to be the most exciting yet for Yorkshire and we can’t wait to celebrate it all at Abbots Green. If you’re visiting the area, here are just a few Yorkshire events highlights that we can look forward to in 2017. Once again, the top cyclists from around the world will descend on our roads for three days in the Tour de Yorkshire. 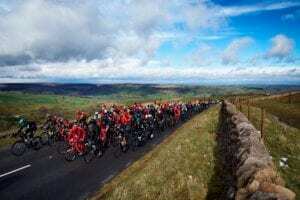 This time, the route passes through Ripon, North Stainley, West Tanfield and Masham on its way from Harrogate to Nidderdale – the nearest points are just 15 miles from our front gates. There are some great cycling routes to take you from Abbots Green out to the route and back (with cafes, pubs and other attractions on the way). We’ll be sharing some of our favourites in a future blog, or speak to a member of staff if you want to know more. 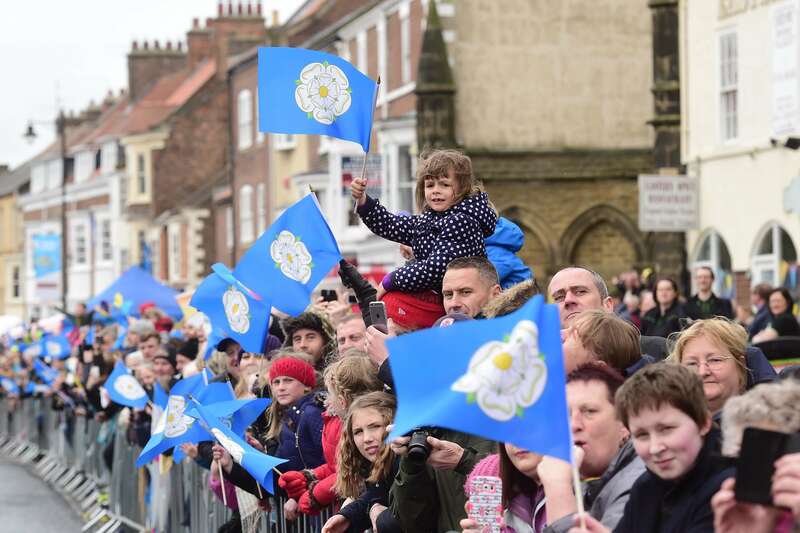 The Tour de Yorkshire takes place from Friday 28th to Sunday 30th April – pop it in your diary now! This year, Hull is the European City of Culture and has a year of events and celebrations planned. It all began with a spectacular fireworks display on New Year’s Day, setting the tone for some brilliant events through the rest of the year. It may be about a 90 minute drive away from us, but it’s certainly worth the trip for some of the great events lined up. For example, the BBC Concert Orchestra comes to Hull City Hall in February with a selection of special guests guaranteed to provide an unusual, creative night. Meanwhile, the Ferens Art Gallery hosts an exhibition of five of Francis Bacon’s famous Screaming Popes pieces until May. There is plenty to explore throughout 2017. For details of all the events taking place in Hull, visit the website: www.hull2017.co.uk. If you have never experienced (or even heard of) Knaresborough Bed Race, it’s certainly one not to be missed! This tradition of more than 50 years sees teams race through the streets of the pretty market town of Knaresborough, pushing ‘beds’ all the way – including through the River Nidd – in a bid to be first to cross the finishing line. It all begins with a fancy dress parade through the town, with some spectacular creations always on show. This year’s theme is Heroes and Villains, and no doubt the teams will have all sorts of responses to that! The race takes place on Sunday 10th June, organised by Knaresborough Lions and local volunteers. You don’t have to be a farmer to enjoy this annual celebration of the British countryside. From impressive displays of horsemanship to dog agility, live music and much more, there is something for everyone in the event rings. Combine that with hundreds of stalls for shoppers, local and regional food and drink, and opportunities to get hands-on with traditional crafts and activities, and you’ve got the recipe for a brilliant day out. The Great Yorkshire Show takes place from Tuesday 11th to Thursday 13th July this year, at the showground on the outskirts of Harrogate. Whether or not running is for you, the Plusnet Yorkshire Marathon is a fantastic event. The atmosphere is electric, and the sight of thousands of runners pounding around the historic streets and passing landmarks across the city is really memorable. This year’s marathon is on Sunday 8th October. As well as watching the inspirational runners, there’s plenty of time to explore York. Walk around the walls for a unique view of the city and the marathon, stop off for something to eat in one of the great restaurants or cafes, and browse the shops too. Naturally, there is plenty more happening around Thirsk, North Yorkshire and the Yorkshire region as a whole. If you’re looking for particular kinds of events, keep checking back on our blog – we have plenty of ideas up our sleeves and we’ll be sharing them over the coming months. Alternatively, as our friendly staff at Abbots Green, who are always more than happy to share their expert local knowledge.